It is estimated that about 30% of the waste created in a household could be converted to free fuel to power an open fire. With a logmaker you can create long lasting logs for your fire by recylcing newspapers, junkmail, leaves, twigs, cereal packets and many other household and garden waste products. 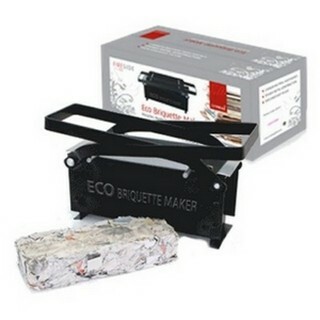 Thus Eco Briquette Maker from De Vielle allows you to recycles household paper and provides you with a carbon neutral heat source. Made from a sturdy metal construction this heavy duty log maker will produce logs that will have a burn time of up to 2 hours. This logmaker It is extremely easy to use. Simply tear waste paper into strips and allow to soak in water for 2 to 3 days. 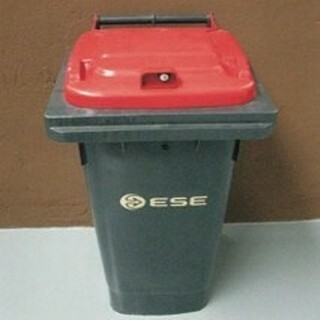 Then insert into the Eco Briquette Maker and compress into briquette by squeezing excess water off. Store and allow to dry completely before use.